I like hazelnuts. I like coffee, especially when it’s miky. I love chocolate – no secrets there. I guess we’ve seen this theme before, have not? Exhibit A, B, C, D, E.
Coffee is not something you should be consuming every day: it is not very alkaline, therefore not very good for you. That’s why I consider it a treat. (That, and caffeine really does not wake me up. Green tea does.) 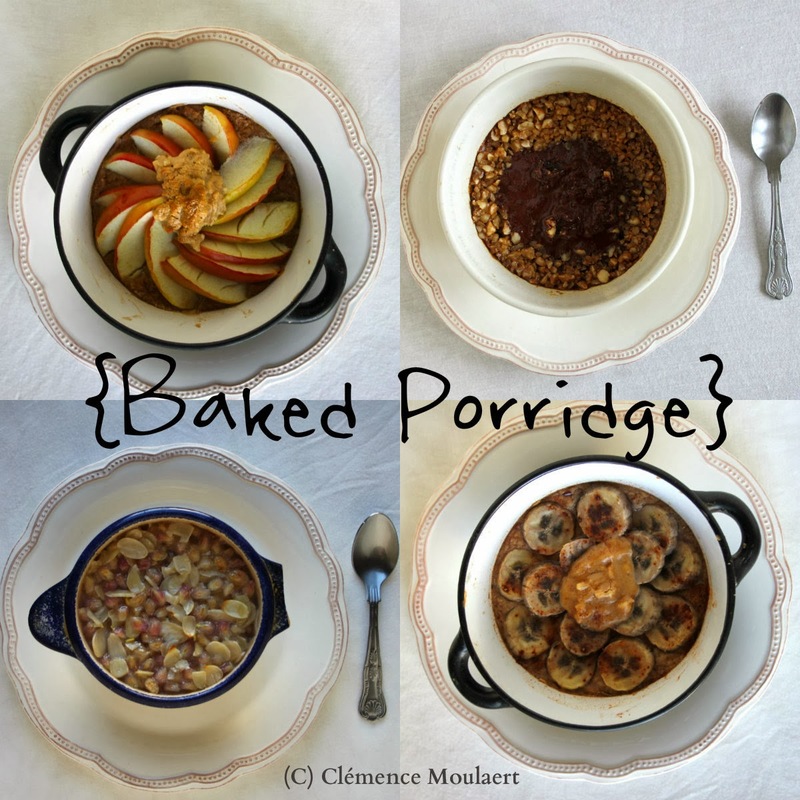 Porridge is sort of a treat, too, since I usually have a smoothie for breakfast. 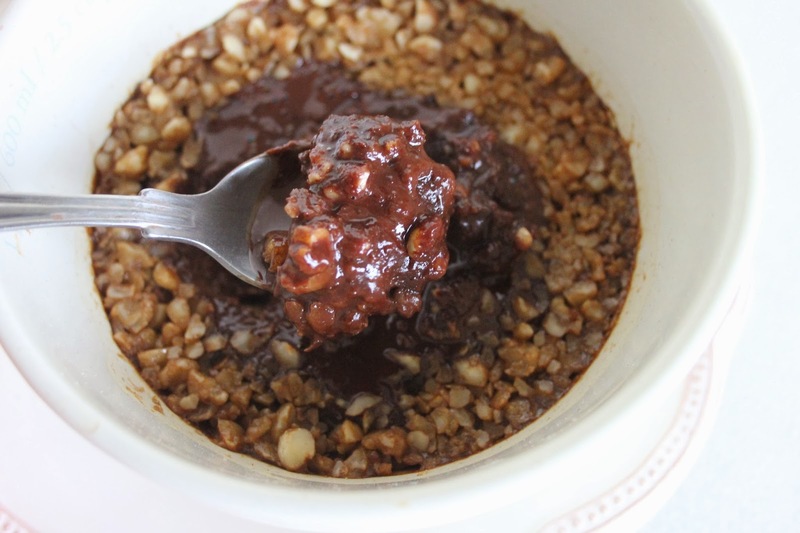 Ergo hazelnut mocha baked porridge = mega treat. If you can’t find chocolate hazelnut butter in the shops, make your own! Hazelnut butter is available from some health food stores; just stir in a few teaspoons of cocoa powder. Alternatively, you can make your own. 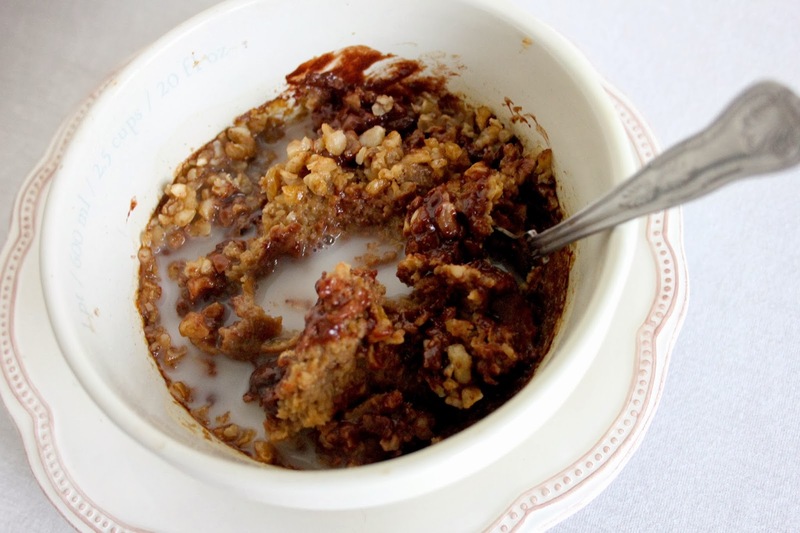 In an oven-proof bowl, combine the oats, espresso, stevia (if using), water and hazelnut milk. Set aside so the oats can absorb the liquid. Scatter the chopped halzenuts over the porridge. 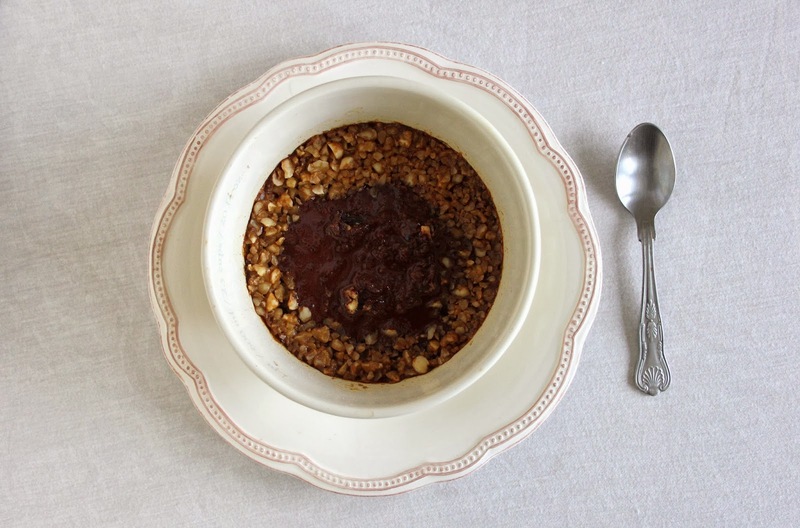 Spoon the chocolate hazelnut butter on top of the porridge, right in the middle. 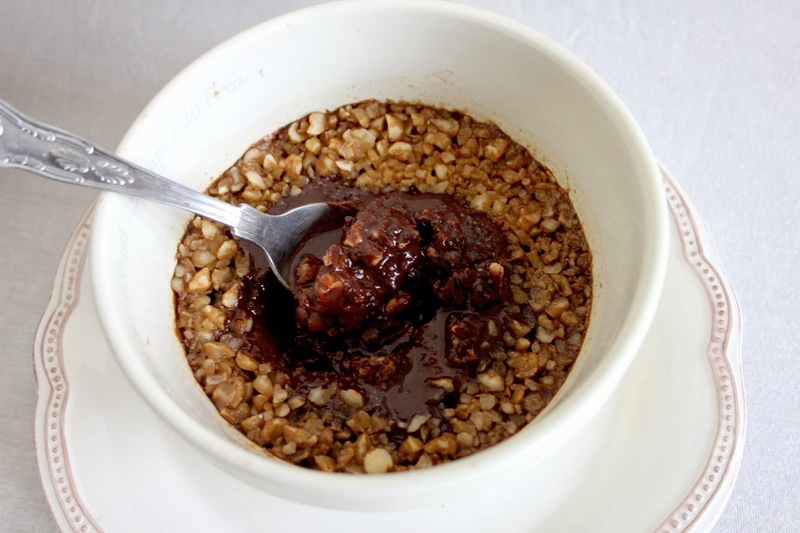 Bake in the oven for 15-20 minutes, until the chopped hazelnuts are golden brown and the nut butter starts oozing into the porridge. What’s your ultimate “can’t resist” flavour combination? A little update on the computer crash: I a typing this from my new laptop! It’s taken many detours, setbacks, frustrating phone calls and a baffling lack of communication between Apple stores (seriously, guys, get your sh*t together) but I finally, finally have my photos back. The computer was dead but the ‘brain’, i.e. the logic board, with all my data on it, is thankfully intact. Nothing’s lost 🙂 I shall be posting recipes more often now so watch this space – a Christmas recipes round-up is coming your way!